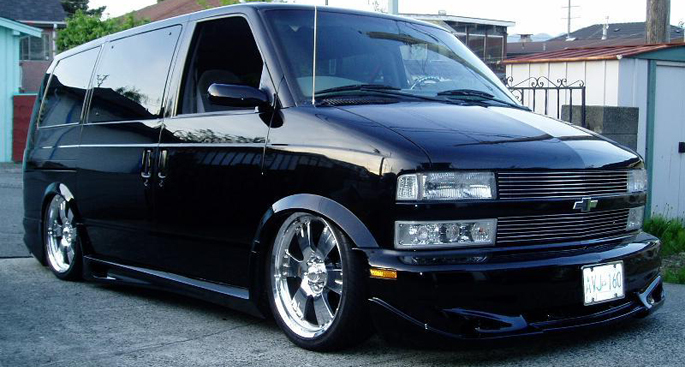 The Chevrolet Astro is a rear wheel drive mid-sized van introduced by Chevrolet in 1985 to rival American competitors the Dodge Caravan/Plymouth Voyager twins and the Japanese Toyota Van. In addition to standard passenger uses, the vans were also available as cargo vans, and converters used them as the basis for small conversion vans. Born in the mid-1980s Chevy vans also shared their tough body-on-frame construction and rear-wheel-drive layout. Compared to front-wheel-drive car-based minivans, the Chevy Astro Van with its parts and accessories was a true workhorse with considerable towing and hauling capabilities. 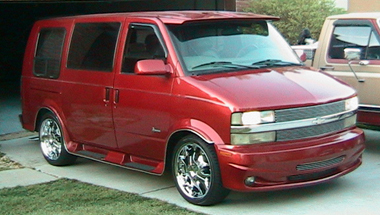 A 4.3-liter V6 was standard on all Chevrolet Astro passenger vans. (Early cargo versions came with a four-cylinder engine.) This engine went through several iterations, producing anywhere from 150 to 200 horsepower, depending on the year and model. It held steady at 190 hp and 250 pound-feet of torque from 1997-2005. Chevrolet Astro has a standard five-speed manual transmission, but almost all Astros were sold with a four-speed automatic that soon became the sole transmission offering. Early vans were exclusively rear-wheel drive; Chevrolet added the option of all-wheel drive in 1990. Towing capacity was right around 6,000 pounds with either drivetrain. The Chevrolet Astro changed remarkably little over the years, though there were some noteworthy developments. 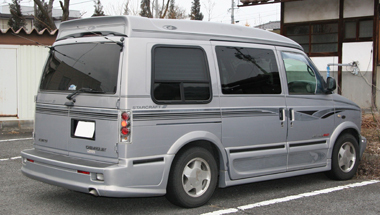 The Chevrolet Astro Accessories created a new design of the vehicle. Four-wheel antilock brakes were made standard on Astro passenger vans in 1990. The brake system was upgraded again in 2003, when the van's rear drum brakes were swapped out for discs. Dual front airbags were fitted to all vans starting in '96. Because of the truck based design, the Astro also is popular with some off road and camping enthusiasts. Chevy Astros of the 1980s seated only five passengers in two rows. In 1990, Chevrolet created an Extended version that was 10 inches longer (190 inches overall) and could be equipped with a third-row bench, increasing capacity to eight. Standard equipment varied over the years, but most Astros you encounter on the used market will have 15-inch wheels (16s starting in 2003), power steering, air-conditioning, cloth seating, an AM/FM stereo, power accessories and cruise control. Near-perfect positioning of instrumentation and controls made it clear that Chevy has been working on this traditional van platform. Instruments were easy to see through the trim but solid steering wheel. A 1995 face-lift gave the Astro a fresher exterior look. The face-lift spread to the interior in 1996, bringing an all-new dashboard with easy-to-use controls. Chevy added some fancy touches up front, such as chrome inserts and moldings on the vinyl front bumper and running lights embedded in the plastic air dam just beneath the bumper. An undistinguished plastic grille with the Chevy bow-tie logo is above sitting prominently in the middle, flanked by single two-way projector headlights and wraparound amber cornering lights. The combination of a powerful drivetrain, large cargo and passenger space, all-wheel drive, and optional locking differential for the rear axle facilitate off road modifications. Ride and handling characteristics weren't bad considering the Astro's rudimentary suspension components, though driving it was certainly more akin to a truck than a car. Fuel economy was similarly trucklike, given the engine's origins in GM's light truck line and the Astro's hefty curb weight. Chevrolet did offer the Astro van with an all-wheel-drive system, which made it one of the handful of vans, mini or otherwise, capable of tracking confidently through snow and ice.